It’s time to Unplug & Play: RWYK Interview with Brad Berger! Welcome to iTunes #1 Kids & Family Podcast! 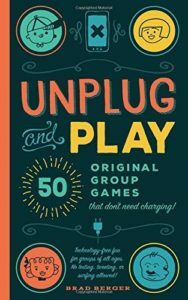 A long time gamer and an author Brad Berger joins us on the Reading with Your Kids podcast to talk about his book Unplug & Play: 50 Games That Don’t Need Charging! Unplug & Play! 50 Games That Don’t Need Charging is an exhilarating way to bring families, friends and even work colleagues together to share hours of fun! The book includes 50 original group games that are super easy and fun, all you need is a group of people. The games in this book are fun to play and can be played with a variety of people in all kinds of settings. Join us as Brad teaches families to have fun with his creative family games! Brad Berger grew up in Great Neck, New York. He attended the University of Colorado where he earned a degree in French, Italian and German and spent several years living and working in Europe. He currently resides on Long Island where he works as president and publisher of a 130-year-old, family-owned publishing company. Since his childhood, Brad has enjoyed bringing his friends and family together to play all kinds of games. However, with the invention of so much technology, Brad saw a decline in group-based activities within his own family and circle of friends. Inspired to bring people back together without technological interruption, Brad crafted the ultimate playbook of games he created to give people a reason to come together and “unplug” for a while. Unplug and Play! 50 Original Group Games That Don’t Need Charging brings people together for hours of hilarious, interactive, technology-free fun that requires virtually nothing more than pens and paper. 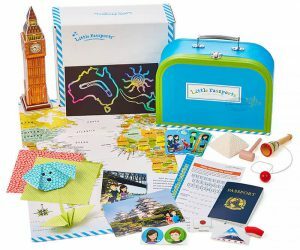 This compact, travel-friendly book guarantees hours of engaging entertainment with fifty original, rigorously tested games that challenge each player’s ability to strategize, bluff, read minds, memorize, think quickly, and solve puzzles. No texting, tweeting, or surfing allowed! It’s time to Unplug & Play! The latest edition is now available! 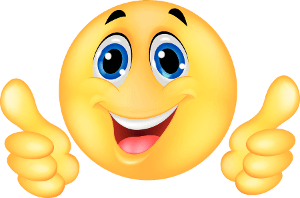 What the Unplug & Play is all about? What is the biggest challenge to families around technology and kids being glued to technology so much? What are social games? And how are they different from the usual ones? What are some of the benefits of Unplug & Play? What do we require to play all the 50 games from Brad Berger’s book? A big thank you to Brad Berger for joining us and for sharing this wonderful game book for families! PreviouslyTHE ABCs OF ROSE: #RWYK Certified Great Read! Read NextHanukkah Special Episode: Meet the “Queen of the Hanukkah Dosas”! !